We are a student group dedicated to create interesting and entertaining Virtual Reality projects inside the Computer Science Department. Create custom AR markers and equip ourselves with virtual attire. Thursday, May 11, 2017. 4:00pm- 7:00pm. Food and snacks will be provided. Create a virtual environment using Unity. Make a large holographic display and assemble one of these displays as a group in a fun night of making and meeting others! Thursday, April 20, 2017. 3:30pm- 7:30pm. Food and snacks will be provided. All parts, tools, and materials will be provided. Create a virtual environment using Unity and Oculus. Create an Android application for the Google Cardboard. Welcome to the InnoVRtors web page. Here you will find information about our group, projects and ideas. 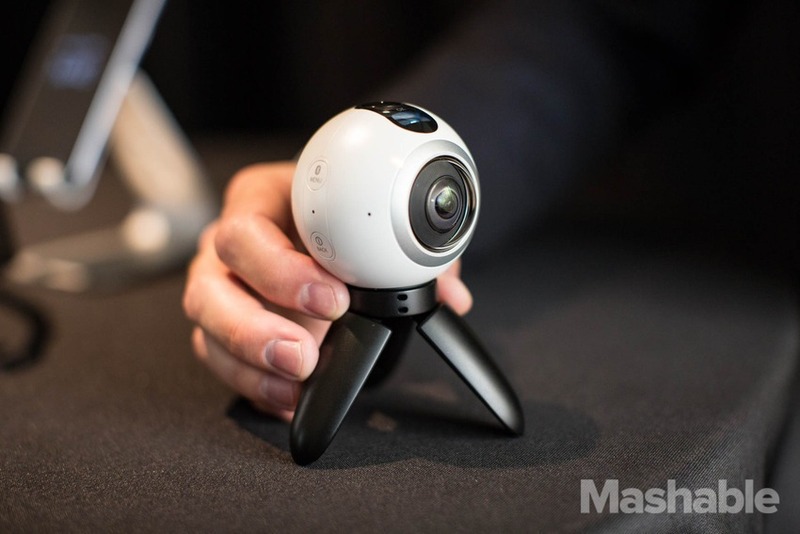 Samsung Gear 360 is a ball shaped 360 degree camera to record VR videos easily. © 2016 InnoVRtors. All Rights Reserved.